For the third year in a row ResearchImpact hosted a session on knowledge mobilization for the annual national meeting of the Canadian Association of University Research Administrators (CAURA). 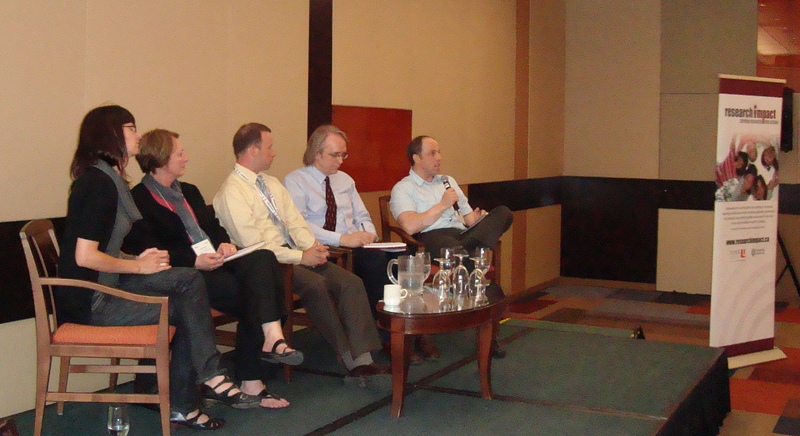 The session was held on May 25 in Ottawa and featured presentations by Craig McNaughton (SSHRC), David Yetman (Harris Centre, MUN), Michael Johnny (ResearchImpact, York), Fiona Haynes (USask) and Laura Milne (ResearchImpact, UVic). Craig gave an overview of KM for Canada, at least form SSHRC’s perspective, which was followed by brief overviews of KM services at each university. The group broke into a poster session where the audience was able to meet each knowledge broker one on one. The group then reconvened for a Q&A with questions from David Phipps (ResearchImpact, York) and from the audience. As a strong indicator of the growing interest in KM as a service to researchers and their communities, the group continued with Q&A for 50 minutes and could have continued going had the session not ended. Interesting questions and more interesting discussion included the role of evaluation (despite the lack of it), the need to engage people as well as organizations as well as the importance of the relationship between the KM function and the Office of Research Services. 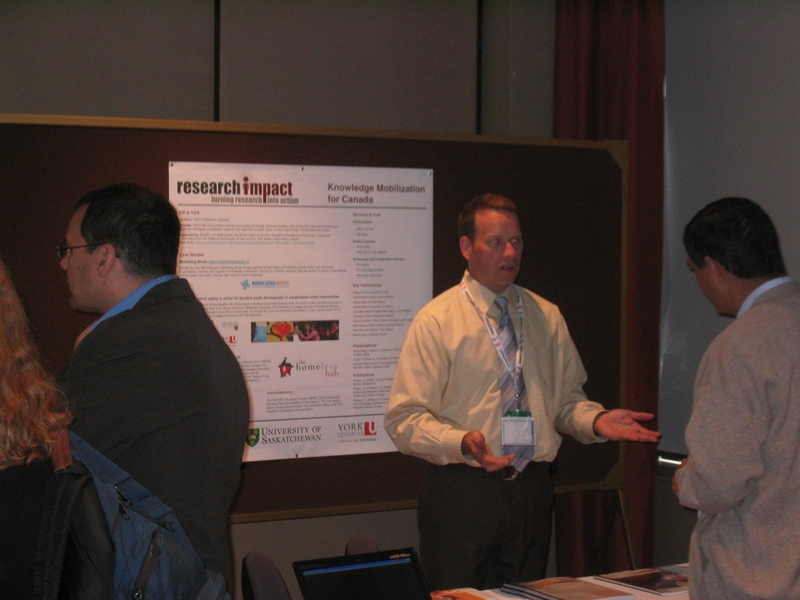 ResearchImpact is also hosting a knowledge mobilization exhibit at CAURA for the second year in a row. More and more research service offices are being asked to support grant applications with complex demands for knowledge mobilization strategies. Building a broad institutional capacity for knowledge mobilization as York and UVic have done is one way that universities can support research grant applications in an increasingly competitive environment. Just wanted to translate Avertedd’s comment into English: “As the saying goes, a life with no purpose is perennial death”.